Illustrator Hanna Karlzon's dreamlike elements of a Swedish summer will lull anyone into a coloring daydream. 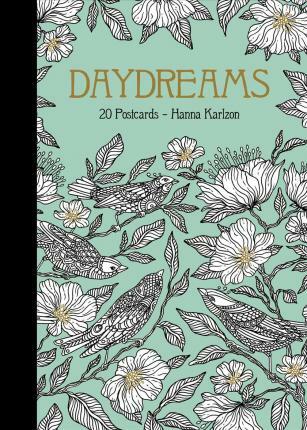 Daydreams postcards are meant to be colored and shared: send them in the mail or frame them on your wall. Winter Dreams, Summer Nights, and Magical Dawn postcard sets are also available.